Stack heights on the Instinct 2 and Intuition 2 have gone up from 22mm to 25mm (this presumably includes the insole). At first glance this comes across as a company following the seemingly hot trend of increasing cushioning in shoes, and it is a bit surprising given that the original Instinct and Intuition were Altra’s founding shoes. However, one could also view this as a response to the fact that Altra is a relatively new company that has rapidly diversified and broadened its line to include both max cushioning (the soon-to-arrive Olympus) and more minimally cushioned options (The One). It looks like the Provision 1.5 will retain the 22m stack height sole/insole of the Instinct and Intuition, and without the included stability wedge it should have a similar feel to those shoes (I have not run in the Provision myself; incidentally the Provision 1 is on sale for $49.98 at The Clymb). I personally found the Instinct 1.5 to be a bit firm for my taste for longer runs, so this change may be a welcome one for me, but I suspect there will be plenty of Instinct/Intuition fans who don’t want to see the shoe with a beefier sole (now only about 3mm less than the Torin in terms of stack height). What are your thoughts? Is this a mistake or a welcome change? Count me as a person who is against he increasing of the stack height of the Instinct. Yes, there’s a difference of 3mm, but it’s only 3mm…. The shoes seem a bit redundant if that’s the way it;s going to be long term. If it makes The Instinct less flexible, I am definitely not in favor. It took literally months of walking around in my pair of 1.0’s to get it to where it would flex enough to run in. The outsole is changed, so maybe they’ve built in more flex. As long as The One is the shoe I hope it is, my concerns are moot, lol. Should have a guest review of The One up soon! This is confusing to me. Won’t this make the Instinct very similar to the Torin? That’s my thought, now right in between the Torin and Provision. Guess we’ll see how much difference 3mm makes. MY worry is less flex, but that can be overcome with sole grooves I suppose. If only the picture of the Instinct 2 had an indication that the sole is now grooved I might be more optimistic. From the picture I’m left totally unenthusiastic – it’s look a reasonable upper on a flat, thick and inflexible looking chuck of midsole. I has rocker/toe spring at the front, which might had the inflexibility of such a think sole, but I suspect a more significant rocker is required for such a thick sole. Still loving my F-Lite 232’s which are pretty good antidote for all this thicker is better trend. Really can’t ever imagine wanting to put much more shoe on my feet. Having run some miles in both new versions of the Instinct 2 and the Torin 1.5, I can tell you they are two completely different shoes that will appeal to different runners. The Instinct 2 is still a much firmer ride than the Torin, and is built on a completely different last. 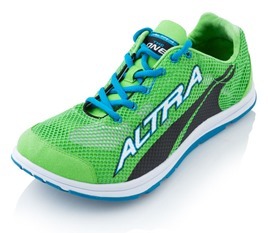 As Emancoli said, Altra is aiming at a much broader population of runners with this shoe and all the other models being launched in 2014. Not to worry, the low-cush fans will still be cared for! Different last??? How are they changing the last? I mean a difference in last between the Torin and the Instinct, which it always has been. The current shoes fit differently, as do the 2014 shoes. Exactly – My foot is wide further back than most people and the Instinct 1.5 fits perfectly. The Torin and One were to narrow. Peter, any thoughts on what appears to be plastic cups on the toe and heel? And, hopefully not too heavy. I own a pair of Altra’s Instinct 2 and am a big fan. The heel cup and toe guard are more of a rubber than plastic. Although they probably add a minimal amount of weight, they do offer extra protection and increase durability of the upper. Hmmmm, I am about to go shoe shopping and I am finding the additional stack height trend less than comforting. I run in the Newton Gravity on the road and the Merrell BF Glove on trails and the Gravity is starting to feel real clunky, so I would probably be happier in a shoe a bit more minimal than the Gravity, but still with enough cushion to manage my heel strike. Check out the Newton Energy – soft heel but lightweight and only 3mm drop. I’m loving it. Will you be writing a review of the Newton Energy soon? I’m very curious about it. Yes, very soon. One or two more runs, so maybe this week or early next. Love the shoe! Are the lugs still there and noticeable? I never liked them. I prefer a flatter sole. Other than that they look interesting. Aha, altra insoles here we come. Looking forward to the review. I don’t have a problem with stack height increase, but I do hope they improve the durability of their shoes. Loved my Instinct 1.5s but they lasted under 100 mi before the medial seam blew out. I thought the original instinct was too firm. I’m not sure if an additional 3mm will make that much of a difference, but I welcome it. If it brings additional people to run in it, then I don’t see it as an issue. When I think of Altra I think generous toe box that could fit a variety of width feet, zero drop, not necessarily as a minimalist company. If people want less cushion, there is the One, and the minimalist Samson. I think the Samson may be going away. It is going away. I confirmed this with Altra the other day. Sad. Had a feeling. So I bought a pair for 40 bucks on ebay the other day. Bummer. I suppose there is no idea of making a wider, on and off road shoe called the Altra David. . .throw in a rock plate for good symbolism. . .
As far as I’m concerned, I get the rationale behind light, very flexible shoes with minimal drop and great ground feel. It makes sense to me : I see how it forces you to run differently and strengthens your feet, ankles and lower legs. But when a company like Altra (or Merrell for that matter) insists on adding more and more cushioning to their lines of shoes, the logic escapes me completely. In a perfect world, all runners would be in a flexible zero drop shoe with just a little cushioning. 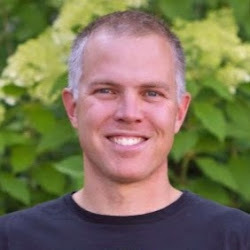 The logic of adding cush is to let the other 90% of runners that can’t or won’t run in a shoe like that to get the benefits of Healthy Foot Position and natural ride characteristics, in a shoe that fits into the category that they see themselves. If it were easy to make people change, it would have been done already! I can’t see how the ride can be described as “natural” with that much cushioning depriving the feet of the sensory feedback they need to react adequately. I hate it when they mess with a shoe I like. In this case, I don’t see the point because they already have the Torin. Maybe a silly question, but are you sure that ‘2’ is a version number? My first instinct (heh) was that the numbers related to the cushioning – Instinct, Instinct 1.5 and Instinct 2 (like the Nike Free 3, 4 and 5). Yes, it’s a version number. The 1.5 was only an upper update so it didn’t get the full model # increase. I’ve got the Instinct and the Instinct 1.5, and both have been relegated to casual wear because they’re just too stiff. The One is just right. I’ve got nearly 450 miles on mine and they seem fine! Personally, I’m against it. I do love firm, minimally cushioned shoes (Mizuno Wave Universe, Sketchers Go Bionic) and I like ubber-cushioned shoes for certain purposes. It really depends on what run you have in mind, and what the goal of the day’s training is. However, I like the Instinct because it is a good everyday, multi-purpose shoe, and I feel they already had the balance right. A bit more cushioning won’t be a disaster, but if anything I wish they would have gone a bit the other way. Say it isn’t so! The worst running news ever! In my experience, adding more cushioning creates a need for more stability. 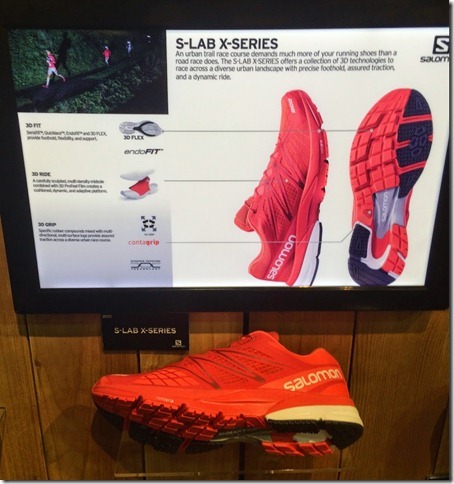 If the minimalist market is now looking for more cushioning, are we just repeating history? The 1970’s all over again! I agree, I worry about stability as we add cushion. Instinct 1.5 is my favorite shoe for roads. 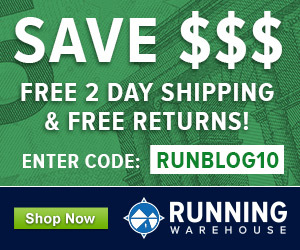 I frequently run 75mpw + in the shoes and have done multiple 20 milers in them and love em. I think its just the right amount of ground feel for big miles on asphalt. I’m a little disappointed that they are adding more cushioning to the shoe. Timothy–have you had the same issue as everybody else with the mesh tearing on the 1.5? 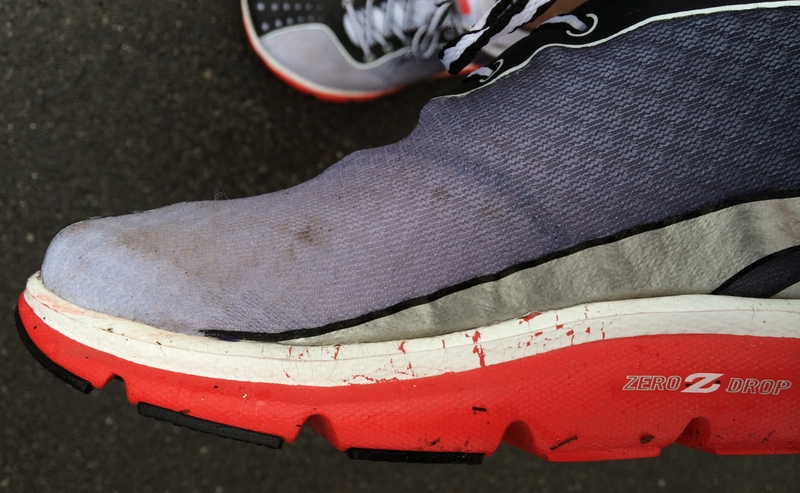 I contacted Altra directly and they said they had updated the mesh to keep this from happening, so I’m just curious whether or not the update actually works in the real world. The firmer sole would be welcome on longer runs, after about 4 miles you really feel it in your feet with the 1.5s. I’ve worn them in a 16 mi relay and 10 mi runs so it’s not a deal breaker, but a little extra would be nice. My main concern is the durability of the material. The toe box has a woven material that completely fell apart and my big toe popped through my left shoe. Never had an issue like this with Brooks shoes. However, the toe box width is excellent, and despite the durability issues I”m hoping ordering a 1/2 size bigger of the 2.0 will help. Anyone else have issues like this? Have heard quite a few complaints about the toebox durability in the 1.5, have not heard a lot about the 2.0. MY wife has a pair and they seem to be holding up OK.
Yeah it was so strange…I had less than 100 miles on them and they just started unraveling. Really like the width, my first decent shoe was the Brooks Purecadence and when they moved to the Purecadence 2 they narrowed the toe box. I got really bad pinched toe issues in those. Glad the 2.0 seems to be holding up OK, how many miles does she have on them? I think I’m gonna place an order for those today….